I have some great Easter Items that are available and can still get to you in time for Easter!!! 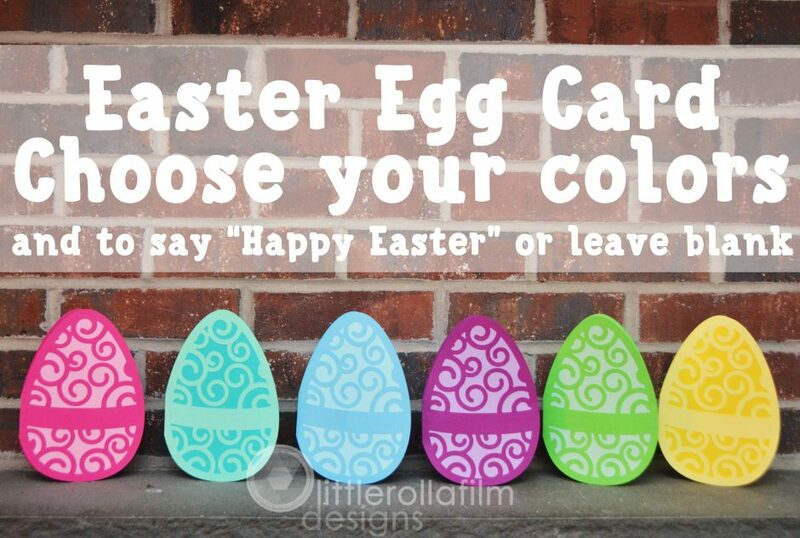 First up I have some brightly colored Easter Egg cards you can grab here that are sure to brighten up anyone’s day! 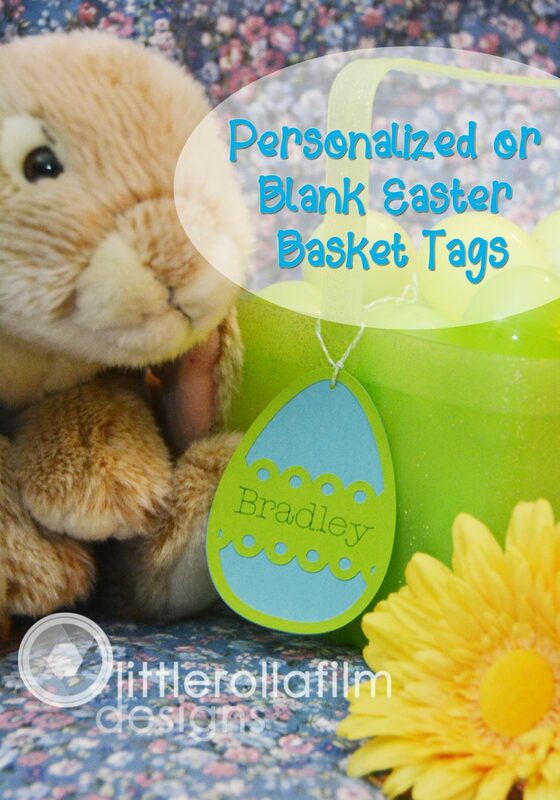 I also have some really cute and customizable Easter basket tags for you to label each child’s Easter basket or you can choose to leave them blank to write your own special message to them! Find these in several color combinations here! Do you have a big gathering for Easter? Or do you like to make each child’s Easter basket extra special? Or maybe you could even have the Easter Bunny decorate the whole table not just the baskets!!! 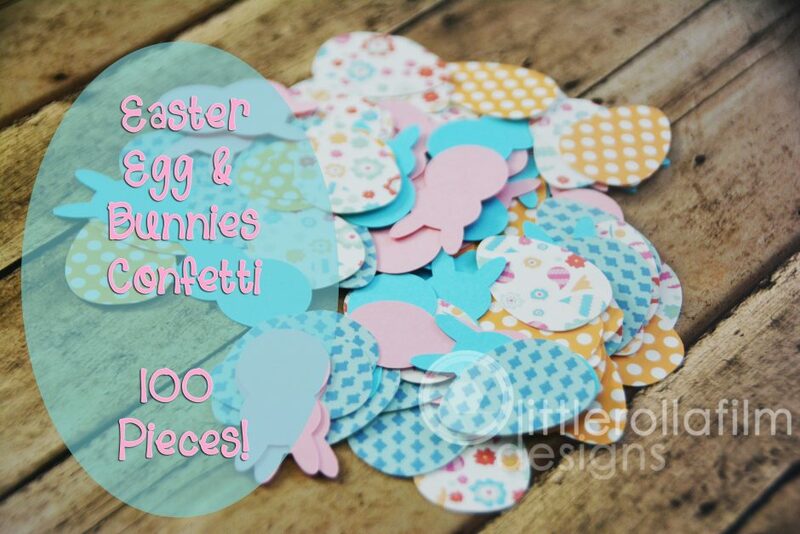 This super cute Easter confetti is the perfect thing for you and there are only a limited supply available so act fast! Grab the rest up here! If you have young babies or toddlers I have a few great options for them too! 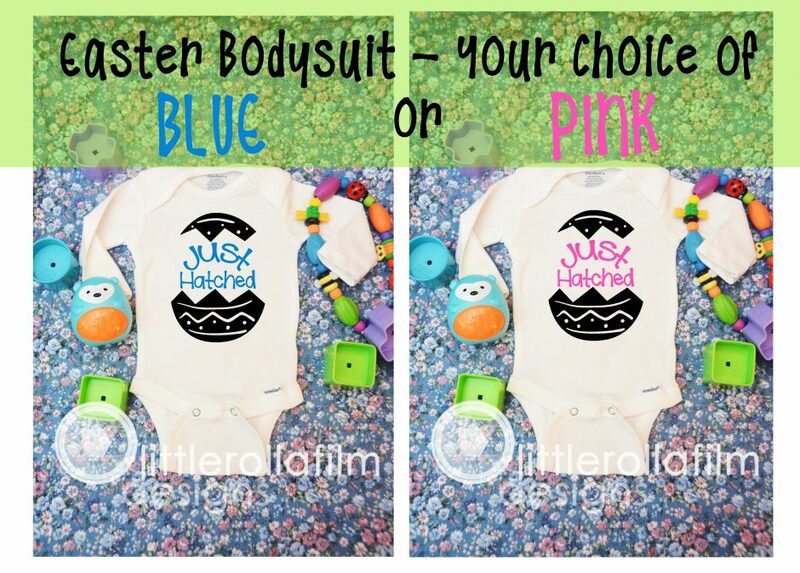 Baby bodysuits with Easter themes! One version has an Easter Egg design and says “Just Hatched”. Would be so cute for any brand new spring babies to wear for Easter or even just a spring photo shoot! 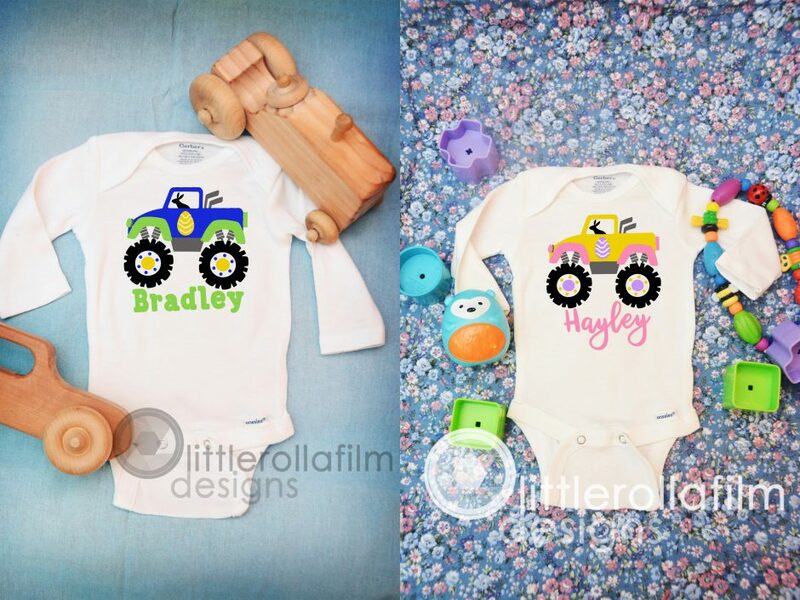 I also have another design with a Bunny Driving a Monster Truck, which can be personalized with their name! There are boy and girl options of each, so a little something for everyone! 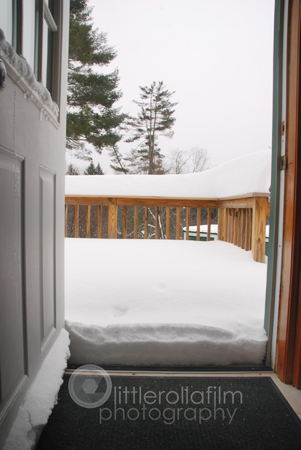 February 9th, 2013 Snow on our porch. 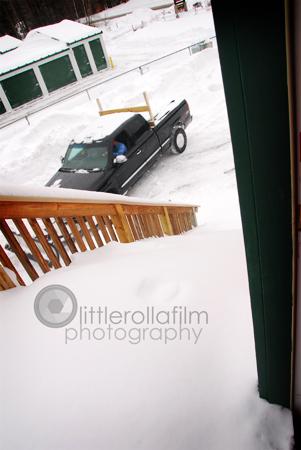 Our stairs/new sledding hill and Landlords plowing away. 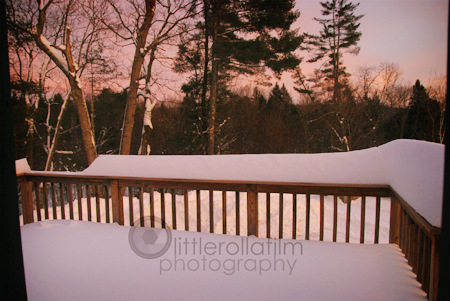 Sun finally came out shortly before setting with some beautiful coloring! Low view from our downstairs door. 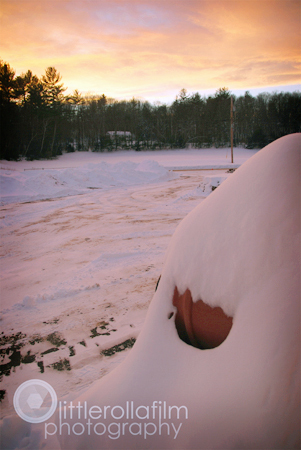 The main road is somewhere beyond the snowdrifts ahead. Our sand bucket has some new camouflage. 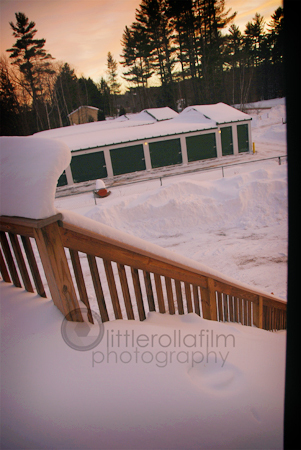 New Look to Littlerollafilm Photography! 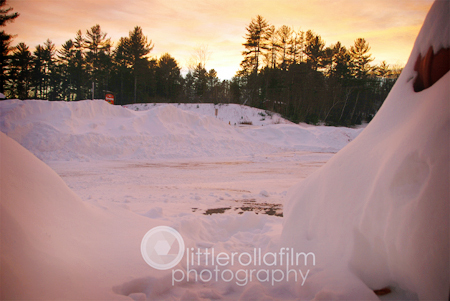 Welcome to the new Littlerollafilm Photography homepage! I have been able to make a variety of changes to my website, including adding this blog as the home page as well as adding more images and services! 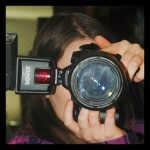 The blog will be updated when I have new images from sessions as well as when I shoot images from my own adventures! So please check back often and share with your family and friends!